Y’all, today we’re bringing to you plans for how to build an easy, modern, DIY coffee table! This DIY coffee table was easy to put together and is easily customizable with a color to match your decor! We love the geometric table base that makes this table shine. This project really isn’t hard. We built the whole base of the coffee table with two boards. Thanks to the strength of Kreg pocket holes, this table is beautiful AND sturdy. We talked to you all about how we wanted to refresh our sunroom and this was the first part of the process. 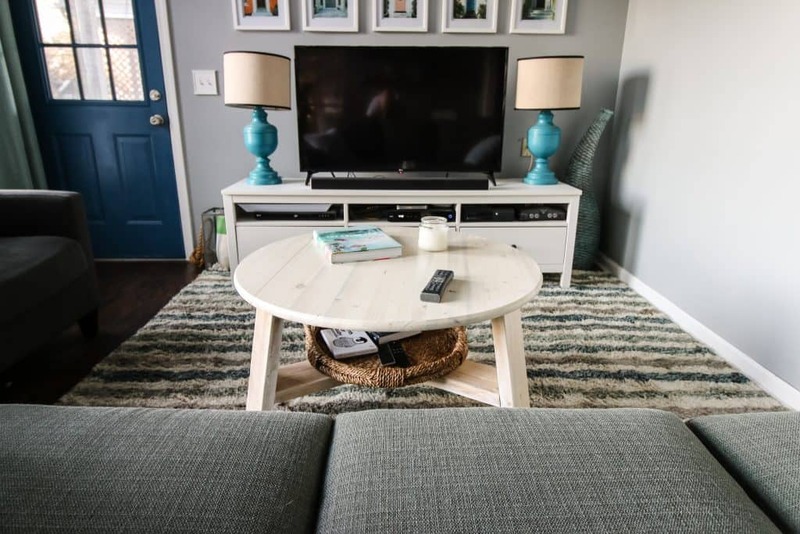 For the last several years, we’ve been using our driftwood coffee table. It was gorgeous and unique and our first true DIY build project, but it just wasn’t working anymore. The glass top isn’t safe when we’re going to have a toddler trying to stand soon. We wanted something more sturdy and substantial to help baby-proof this room. So we partnered up with Kreg on this project to improve our sunroom. 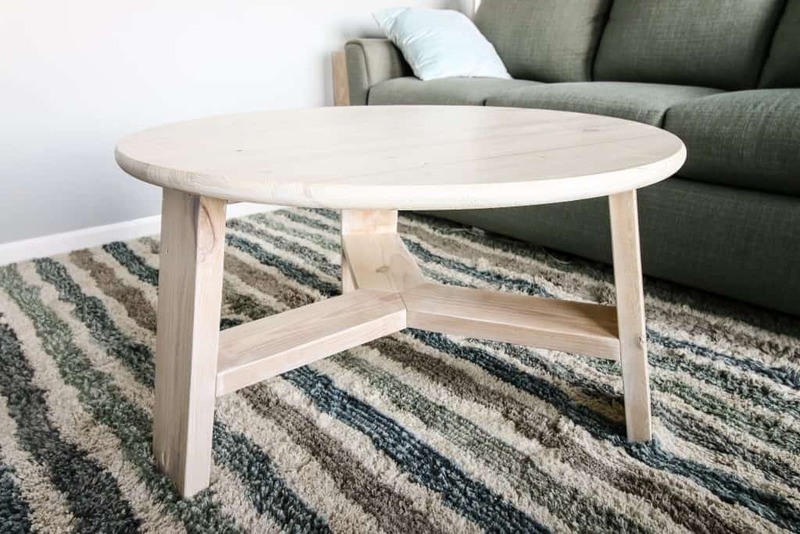 We’ve put the entire set of project plans for this DIY coffee table up on BuildSomething.com where you can get our step-by-step cuts, measurements and pocket hole placements. The geometric base of this coffee table might look complicated, but it’s really not, especially if you follow our plans. Having angles and pieces come together in weird places seems strange, but the pocket holes we made with our Kreg Jig make it structurally solid. One note on the top for this piece. We took some photos for you of the base with the glass top from the driftwood table. If you wanted to just build the base and don’t have kiddos running around, look how great this is! With the glass top, the geometric base really shines! For a solid wood option, we opted to use a prefab edge glued wood top that you can get from Lowes or The Home Depot. We were going to build basically this exact top ourselves, but it’s one of those situations where you have to examine opportunity cost for how much the wood would cost and the time it would take to make the top yourself when you can pick one up for under $40. I attached the wood top using wood glue and 3 screws drilled through the base into the top from underneath. 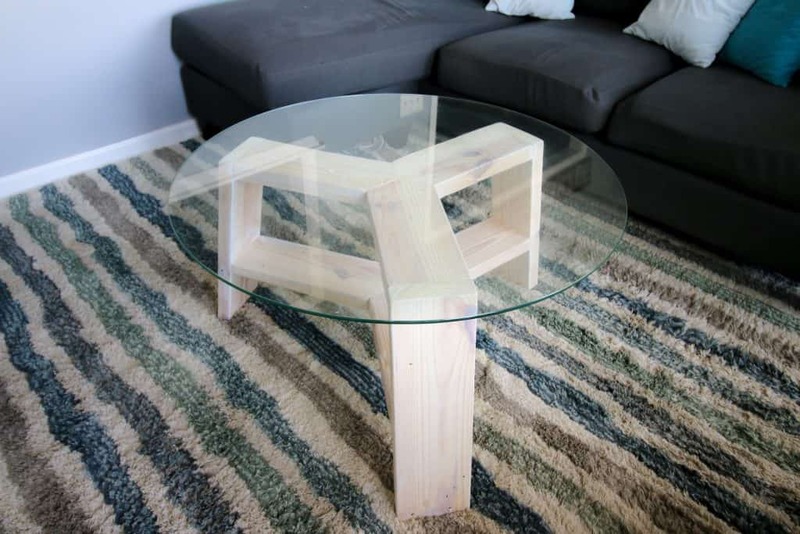 This DIY coffee table design is great because it is two-tiered. 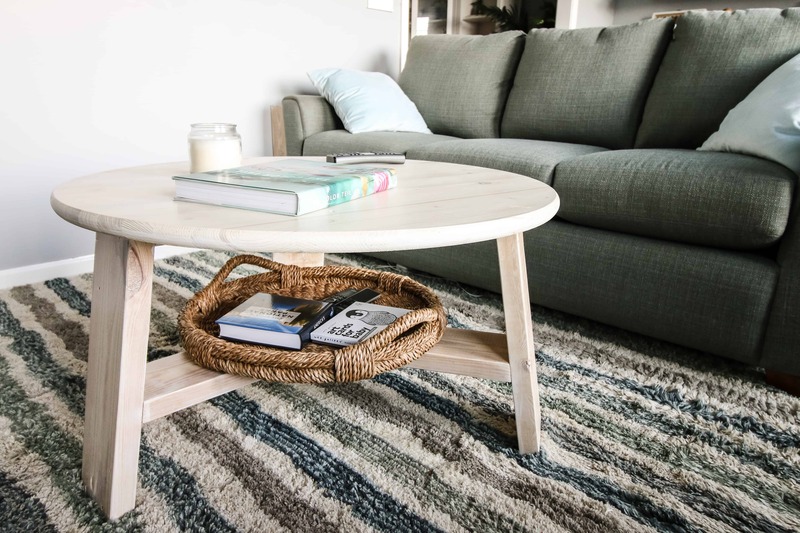 The top is great, but the geometric Y-base underneath allows you to put a basket for storing things that you need frequently, but don’t necessarily want on top of your coffee table all the time. 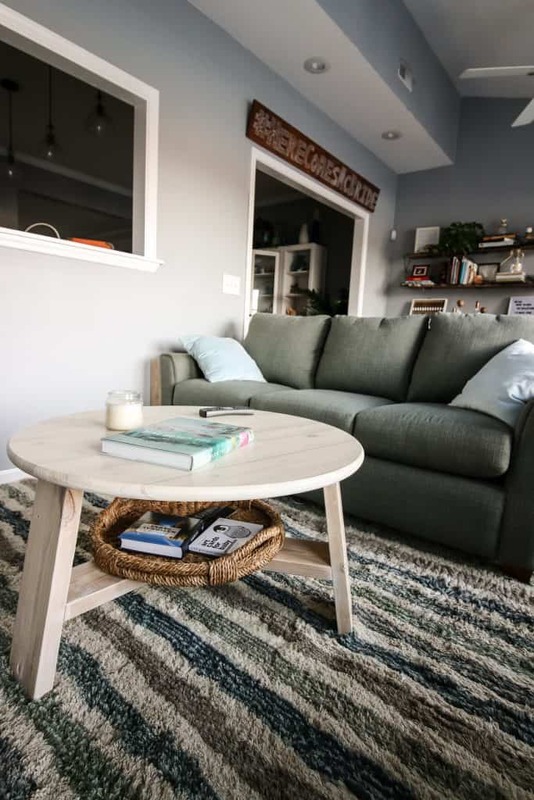 So head over to Kreg’s BuildSomething.com to get the free plans for how to build an easy, modern, DIY coffee table. 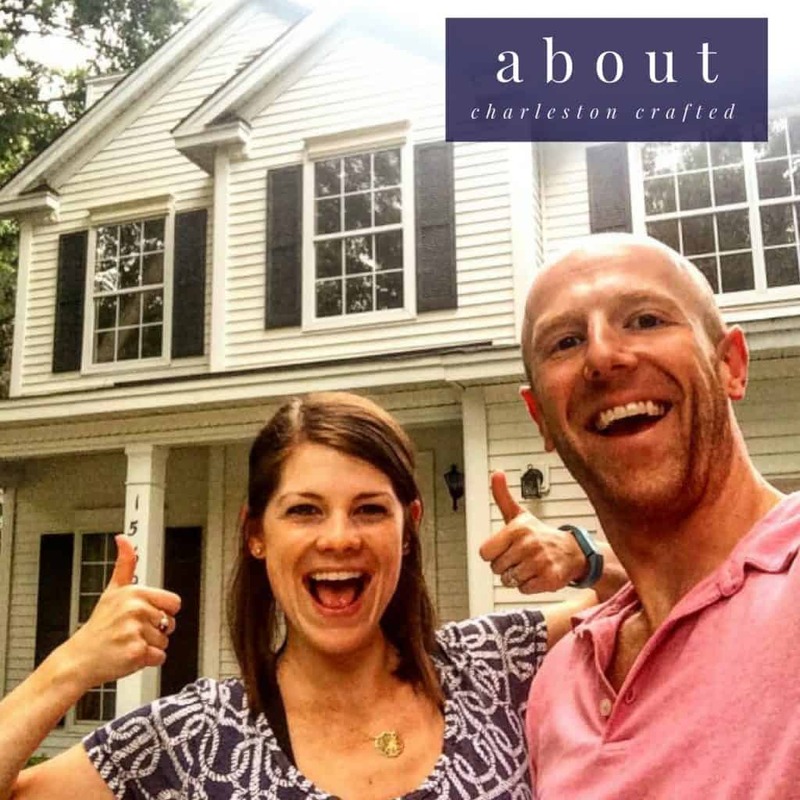 Their website is full of easy, helpful plans from lots of amazing builders. If there is any piece of furniture you’re in need of, BuildSomething.com is the way to go. We’ve got lots of other plans on there (like our concrete and plywood desk, our wood house plant stand, and our vanity stool), so be sure to check them out.